HomeMOTChecking Your Tyre Treads Depth With A 20p! Did you know that 69% of drivers are not aware of the legal minimum tyre tread depth in the UK? Your tyres determine how well you can keep control of your car, especially in the wet. Our article will show you how to avoid a fine and penalty points on your licence, and teach you a quick, easy tyre treads depth check: the 20p test. Tyre treads are the grooves on your tyres. They remove water from the road as you drive along. This gives your vehicle a better grip on the road. The more tread you have on your tyres, the more water they can clear from the road, and the better your car will grip. New Ellesmere Port tyres typically have 8 mm of tyre tread. However, your tyres’ tread wears down over time, and you need to check regularly that there is enough left. 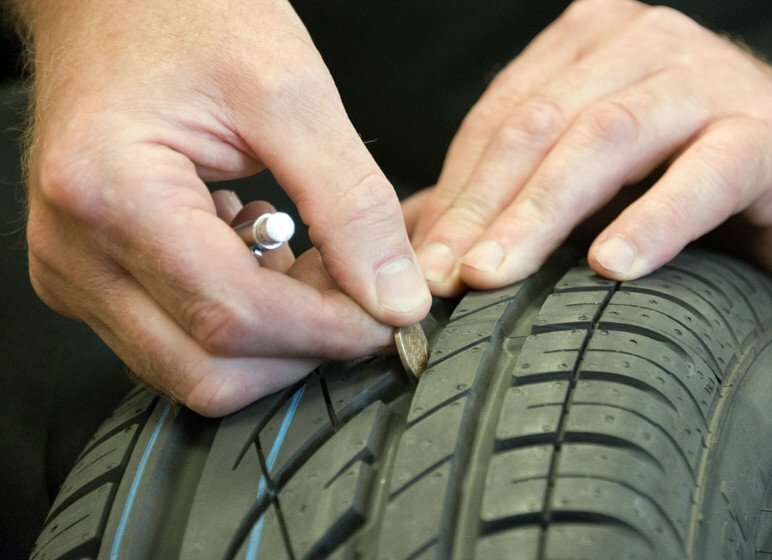 This simple test is the quickest way of checking your tyre tread depth, using something most of us have in our pockets. If you don’t have a “proper” tread depth gauge, you could keep a 20p coin in your car so you can check your tyre treads whenever you want to. To do the test: place the coin into the main tread channels, at various points around the tyre. If you ever see any part of the outer band around of the coin, the tyre tread is too shallow – and you need to replace the tyre. The 20p Test could save lives – not just yours, but your passengers and other road users too. And remember, if in doubt contact an expert!